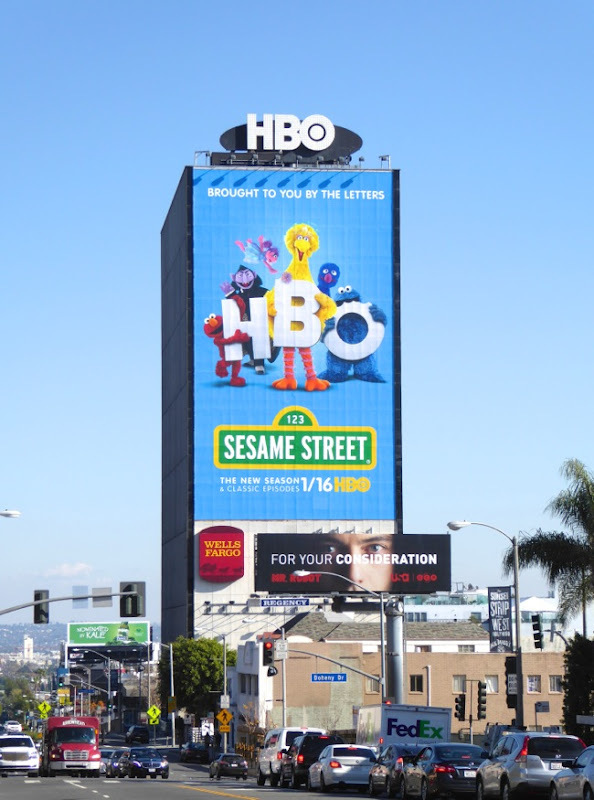 For over forty years American preschoolers have been able to find Sesame Street on PBS, but for its forty-sixth season you'll be able to find the show on HBO. 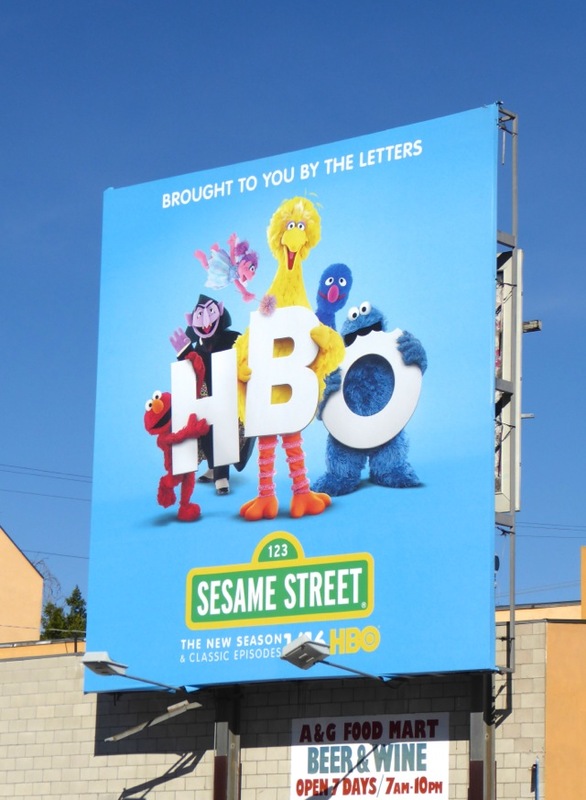 All your favourite characters like 'Big Bird', 'Elmo', 'The Count', 'Grover', 'Oscar the Grouch' and 'Cookie Monster' are back, but with a shorter half hour format, new opening segment and snazzy modernized set. 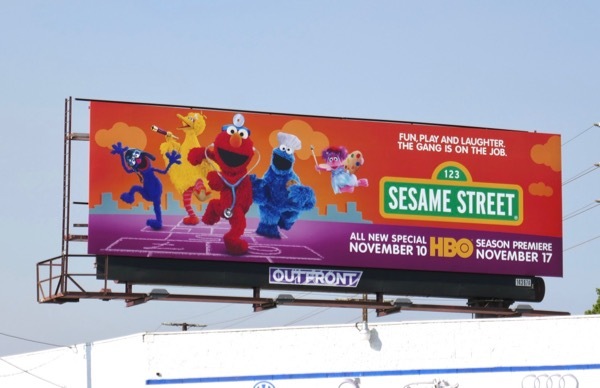 But don't despair if you don't already pay for the premium cable channel, the new episodes of the iconic fun and educational series will be available with all the others on your local PBS channel in about nine months. 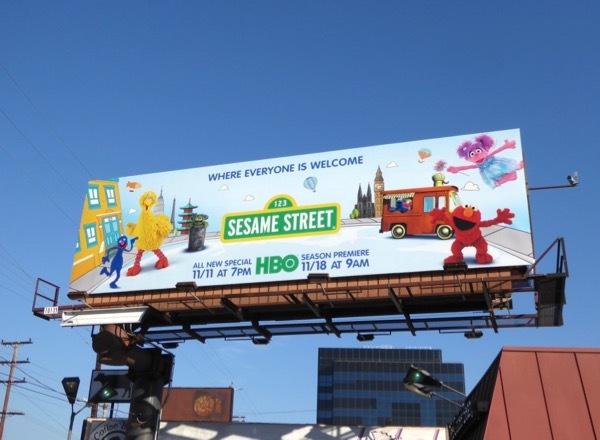 These vibrant Sesame Street character billboards can't help but evoke nostalgic childhood memories, regardless of whether you have kids of your own. 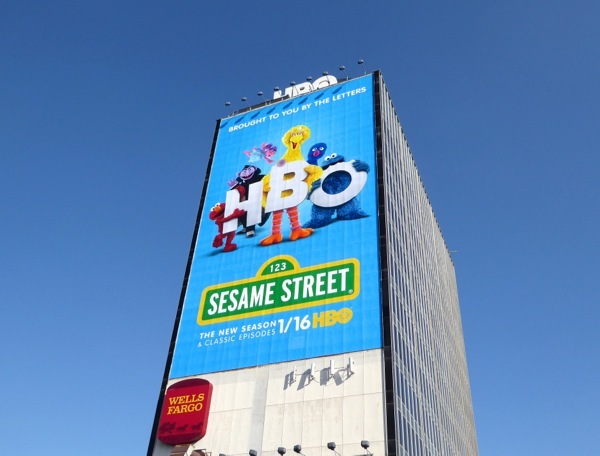 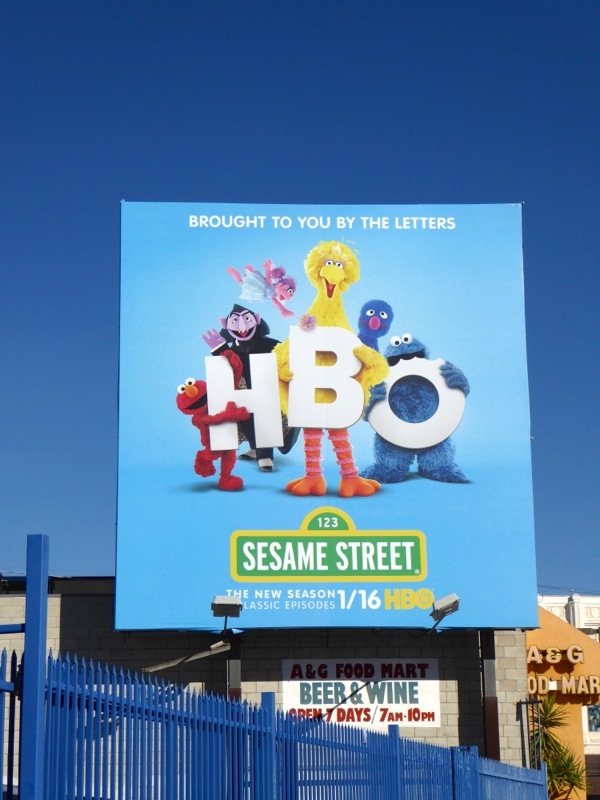 The glorious giant-sized HBO billboard was snapped towering over the eastbound Sunset Strip on January 8, whilst the smaller square ad version was spied along La Brea Avenue and the landscape billboard above Robertson Boulevard on January 12, 2016. 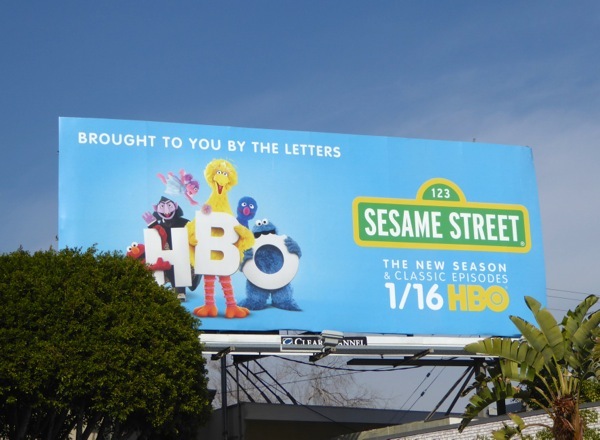 Today and every day, this blog is brought to you be the letters D and B, and by the number 365. 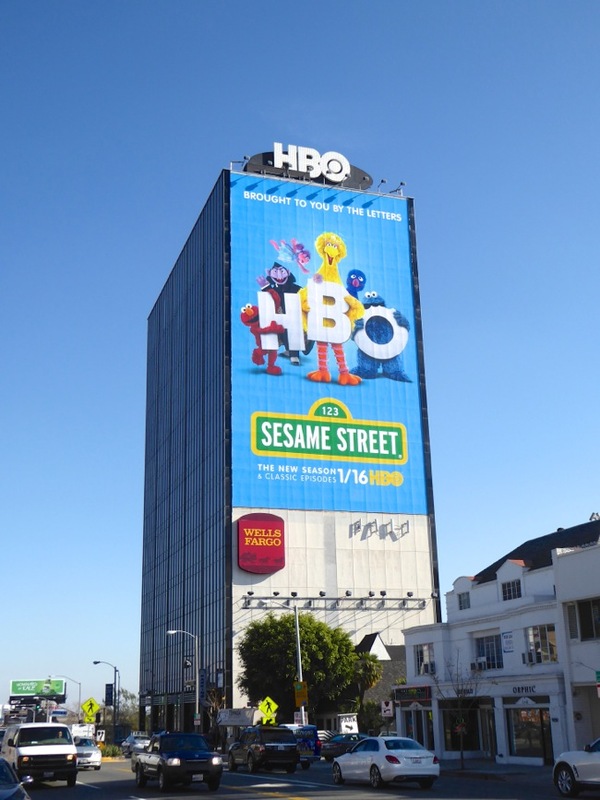 Hopefully these fun and uplifting ads will help you enjoy your Martin Luther King, Jr. Day even more. 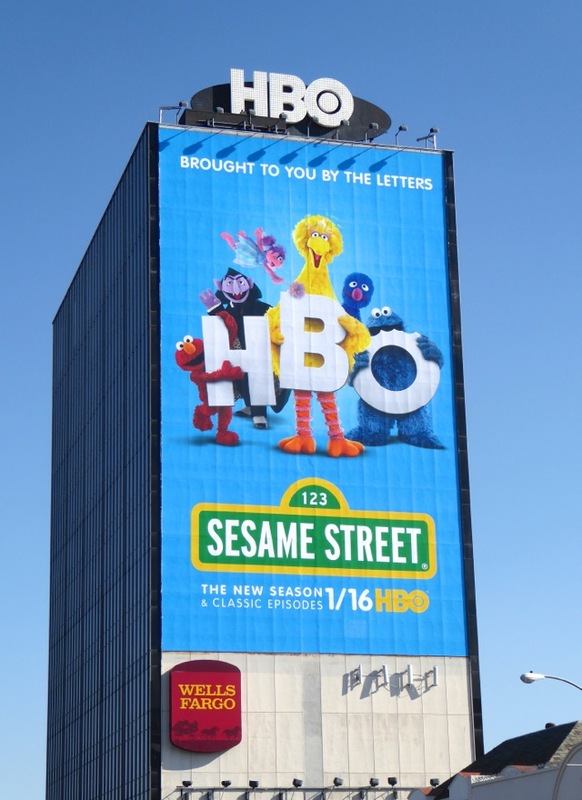 Now, can you tell me how to get to Sesame Street? 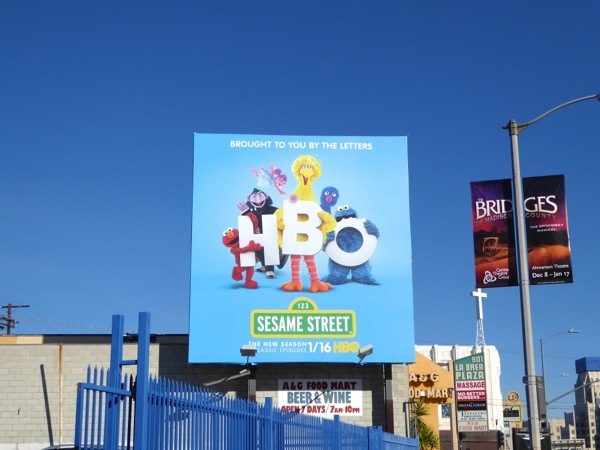 UPDATED: Here's also a billboard for the forthcoming forty-eighth season of Sesame Street, snapped at L.A.'s 3rd Street and La Ciengea Boulevard on November 11, 2017. 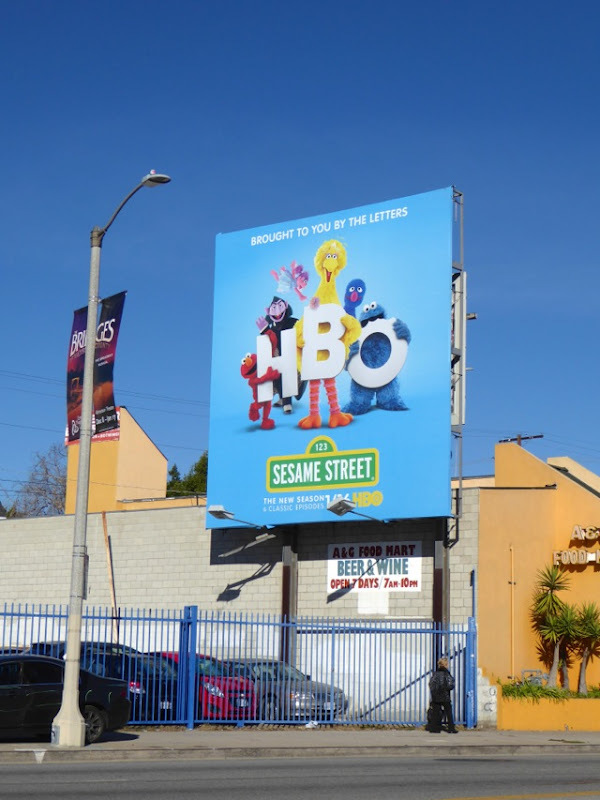 UPDATED: Here's also a colourful billboard for the forty-ninth season of the show spotted along Venice Boulevard on November 10, 2018.